Your Local Auto Repair Experts! SAF-T Auto Centers has an auto repair facility in the Wallingford, CT area. We perform expert repairs and maintenance services that keep you on the highway. When you visit our Wallingford location you receive the quality service and attention that will preserve your engine. Our ASE-Certified technicians have the skills and training to keep your vehicle in excellent condition. Help your vehicle retain its value by making sure qualified technicians are providing your services. We offer complete automotive repair designed to maintain and restore. Keep your vehicle ahead of any costly repairs and maintain peak performance for as long as you need your vehicle. Drivers are often in the market for a new vehicle because the one they’re driving has not been maintained properly. Let us take care of your vehicle with proper maintenance service, so you can continue to enjoy its quality performance. We’re a NAPA Auto Care Center so you can trust that you’ll be getting the best service available. Our reputation for exceptional auto repairs is well-known and we strive to set a new standard for top notch service. Come to us for any of your tire sales and services needs. We’ll have you equipped with the market’s best performing tires. 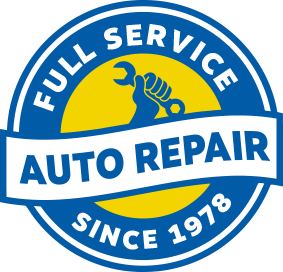 If you need auto repairs, you couldn’t find a more friendly, experienced, and affordable team of experts than SAF-T Auto Centers in Wallingford, CT. Our team does it all, making every trip to our auto repair facility a problem-solver and problem avoider. That’s our promise to our customers, that if we’re not fixing a vehicle problem, we’re making sure you avoid it altogether. Drivers that pay close attention to their vehicle’s condition will pick up on warning signs. As soon as you hear abnormal sounds, smell strange odors, or feel your vehicle behaving differently, bring it to us right away for quick and correct service. Anything from minor oil changes, tune-ups, brake service, tire mounting and balancing, or wheel alignments to major engine rebuilds and transmission repairs will be handled with care at our Wallingford repair location. Bring us your fleet so we can keep up with your routine maintenance. Your business functions normally, and the money keeps rolling in as long as you can have a productive fleet on the road. You can schedule your next auto repair appointment right now! Just give us a call at (203) 294-1555 and we can discuss how our experts can help you. For your convenience, we have an online scheduling system that puts your next appointment one click away. Our qualified technicians are waiting for you to pick a time and a day that works best for you. If you’re in the area, stop by and see us at 121 N Plains Industrial Rd; walk-ins are always welcomed.